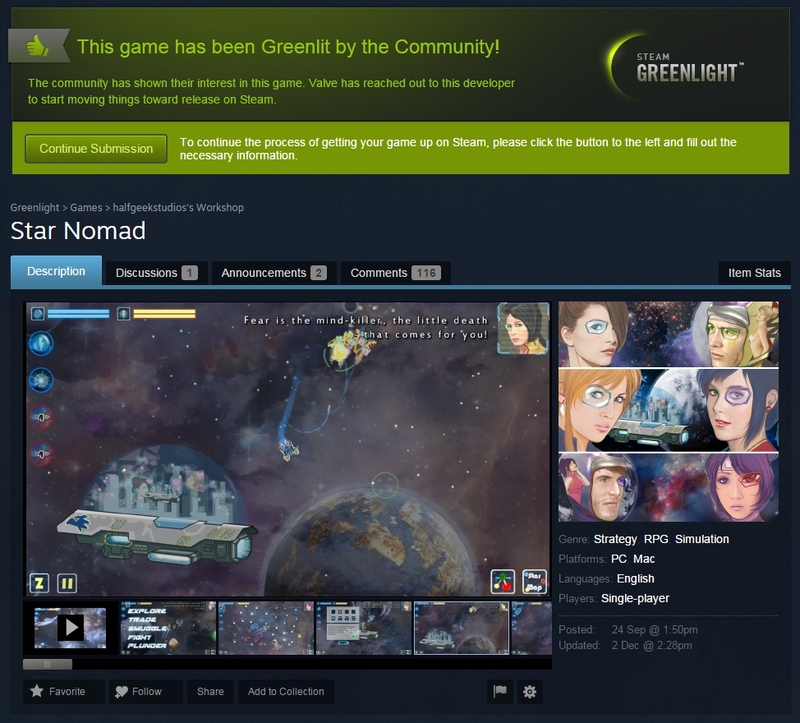 Help Star Nomad get on Steam! If you’ve enjoyed the game on any platform, please give me a few seconds of your time and hit the Yes vote on Steam Greenlight! Today I had a very pleasant surprise! Thank you for all the support, it would not have been possible without all your help! I’ll build a special Steam version with support for achievements as well as improve the UI with mouse-over triggers where it improves the experience. ← Star Nomad Update to bring Mining!